Ready to live your intentional life? A good place to start is with your thoughts. That's right, your thoughts are what forms your future. I have put together all the resources you need to change your world starting today. I've finally completed the courses based on P-R-A-N-A a Life-Giving Force. The first in this series is P - Positive Thoughts. This course or module is a step by step guide with many different resources to use throughout the rest of your life. Some of these techniques can be taught starting as young as 2-3 years of age and utilized from then forward. And it's never too late to start because what you think today will be your future. 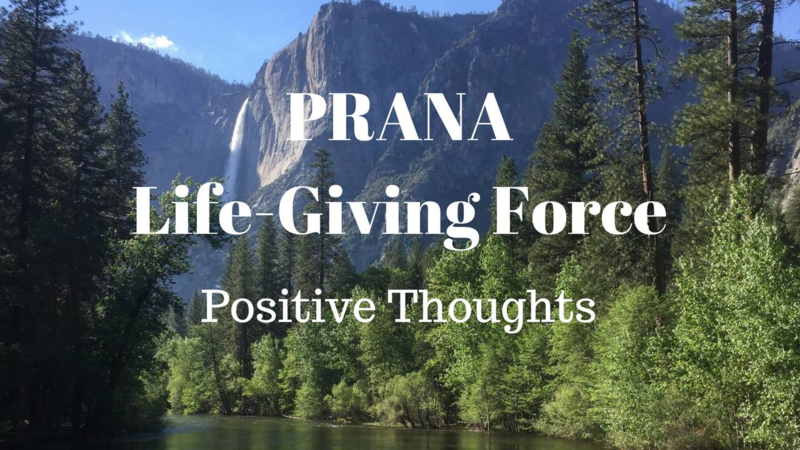 I've personally used everything in the 6 lessons within the first module of P-R-A-N-A, Positive Thoughts. The wonderful thing about what I'm sharing here is you can use what you need when you need it and then again years later. These techniques are easy to learn and easy to get results and timeless! Here is a text someone sent to me last week; Thanks for the work you've been doing with my wife. She was a basket case before you got ahold of her. Just wanted you to know that I appreciate your help. Here is one from last month; I needed to let you know what happened to me at work today. I was giving my notice when I was asked to wait for 24 hours. This morning when I came into a meeting with my boss and his boss they offered me a 50% raise!!! I was stunned...I know this has happened because of the work you have been doing with me. All of the things you've taught me has brought me to a job I love and a salary that is way above and beyond what I had ever imagined. Thank You!! As you can see this isn't hipe. The techniques I'll be teaching you are founded in history, they are respected and used in our traditional psychology treatments because they work. I've Read Says The Same Thing! Be Mindful Of Your Thoughts Your Life Is Shaped By Them. They can't all be wrong, from Buddha to Jesus, from Lao Tzu to Gandhi, they all tell us how our thoughts shape our lives. This course offers several options and how-to's to change your thinking habits. Noticing what we are saying to ourselves day in and day out is the first step in creating an intentional life. Congratulations on taking this giant step! The best part is it's so easy you can teach your children to do it too!